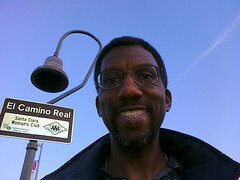 This entry was posted on Sunday, May 15th, 2011 at 10:00 and is filed under Belmont, Burlingame, El Camino Real, First Street, Gilroy, Los Altos, Menlo Park, meta, Millbrae, Milpitas, Mountain View, news, Palo Alto, people, San Bruno, San Carlos, San Jose, San Mateo, San Rafael, Santa Cruz, South San Francisco, The Alameda, web. You can follow any responses to this entry through the RSS 2.0 feed. You can skip to the end and leave a response. Pinging is currently not allowed. I loved your inaugural post on Patch (it was cross-posted from Los Altos to the Palo Alto Patch I call home). I’m also blogging at Palo Alto Patch and I helped get the new blogging feature built, so welcome, and I hope you’ll keep it up!